Shopping experiences have undeniably changed over the last ten years. Customers are now far more empowered to seek out product information, because of the huge array of it readily available online at their disposal. But for many, this is only the start of the purchase journey. Retailers can now customize services across a diverse portfolio of touch-points; from customer service centers, online and physical stores, mobile apps and social media. But building a personalized and seamless customer journey means rethinking how to create value along this evolving customer journey. This comes down to understanding what a shopper wants, which now involves a combination of experience and knowledge, rather than one or the other. Technology is transforming our daily lives and with more innovations than we can imagine on the horizon, but equally, retailers mustn’t lose focus on what makes a store a store. In our research, the top three reasons consumers give for shopping in-store indicate that they want to experience a product before purchasing. 51 per cent prefer to go and look at a product, 27 per cent want to check its quality and 24 per cent want to feel and use the product before buying. The main reasons consumers cite for shopping online are centred around price (42 per cent), choice (24 per cent) and the ability to have the product delivered (38 per cent). 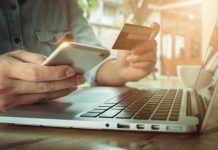 Our survey shows that in the electrical category, 35 per cent prefer to shop online, 20 per cent prefer to buy in-store and 45 per cent prefer a combination depending on the item. Therefore, it’s less important for in-store and e-commerce platforms to compete on an imaginary battleground; and more emphasis should be on learning what differentiates the two for the consumer. 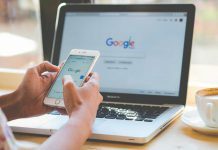 Consumers can now spend hours learning about a product before deciding to make a purchase and, in most cases, online research is the starting point on the consumer’s journey. But it’s all well and good being told that a TV has over 1000 PQI (picture quality index), but what does that even mean? For most of us this means very little unless we’re able to experience this ultra-high definition first-hand. 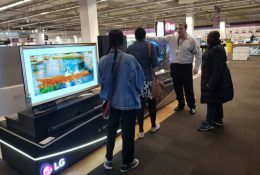 By displaying the latest products and having interactive demonstrations, retailers and brands can create a stronger connection with consumers. Combine this with an on-hand brand ambassador that cuts through the jargon and the consumer is then also empowered to make the right decision for themselves. This makes the in-store offering a valuable and necessary accomplice to the online experience, rather than a competitor. One clear example of the influential role of the in-store experience is in the case of a major camera brand. Data from Retail Marketing Group’s brand ambassadors showed that a startling 44 per cent of consumers who purchased this brand’s camera in-store had not planned their purchase, instead deciding to impulse-buy. Interestingly, in this study, 70 per cent of shoppers who bought the camera were also first-time buyers in this product category. 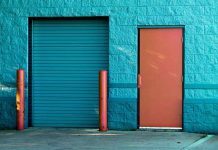 This means that a clear majority required more information from the sales team before deciding to purchase, with the purchase being dependent on them actually being in store. Converting such a high-ticket item to a sale without prior intention to buy, highlights the significance of in-store Brand Ambassadors. In this case, had the brand ambassadors been absent, the potential missed sales could have accounted for a hefty 43.8 per cent increase in revenue. Understanding the customer and their individual wants and needs in this age is a challenge many retailers and brands continue to grapple with. With so much insightful customer data able to be collected in the digital shopping environment, it’s easy to forget that the bricks and mortar aspect of retail is still where we’re truly able to gain the most accurate insights; about customers and their experiences. These insights are what shape future customer experience strategies; identifying opportunities to promote greater satisfaction, personalisation and engagement. What lies at the heart of the in-store value proposition is the fact that people understand people, and can make customers feel valued and cared for. Ultimately, brands and retailers must understand their individual position along the road to purchase and the role they play. Each touchpoint is a stepping-stone that builds up a consumer’s knowledge of a product, and helps them to understand their requirement for it or simply inspires them to want it. This is not to say that bricks and mortar stores will not be threatened by online shops if they remain mere places for transactions. High street and outlet stores have a great future, but the need for retailers to innovate and keep the customer’s attention has never been more necessary. Above all, retailers must ensure that their stores are places that make consumers want to keep coming back. Experience is more important than ever.